With the arrival of summer, pets are likely to be spending a lot more time out of doors. And that can lead to confrontations with fleas and ticks. More than an itchy annoyance to some dogs and cats, flea bites can cause flea allergy dermatitis -- an allergic reaction to proteins in flea saliva. And a pet’s constant scratching can cause permanent hair loss or other skin problems. Anemia and -- in rare cases – death can be a result of fleas feasting on a pet's blood. Ticks can also harm your pet, transmitting infections such as Lyme disease. And, even worse, pets can bring ticks into the home, exposing you and your family to illness from a tick bite. Hundreds of pesticides, repellents, and growth inhibitors are available to protect your pet from flea and tick bites. Some of these products are available only from a veterinarian; others can be bought over the counter. Flea and tick products range from pills given by mouth to collars, sprays, dips, shampoos, powders and “spot-ons” -- liquid products squeezed onto the dog’s or cat’s skin usually between the shoulder blades or down the back. A few spot-on products are available for flea control in ferrets, and fly and tick control in horses. Both the FDA and the Environmental Protection Agency (EPA) regulate flea and tick products for pets. FDA is responsible for regulating animal drugs; however, some products to control external parasites come under the jurisdiction of EPA. The agencies work together to ensure adherence to all applicable laws and regulations. In general, flea and tick products that are given orally or by injection are regulated by FDA. Before an animal drug is allowed on the market, FDA must “approve” it. Before a pesticide can be marketed, EPA must “register” it. The sponsor must also show that the drug or pesticide produces the claimed effect, and the product must carry specific labeling so that it can be used according to the directions and precautions. It's best to treat your pet at the beginning of flea and tick season, says Stohlman. The length of flea season, which peaks during warm weather months, varies depending on where you live. “It can last four months in some places, but in other places, like Florida, fleas can live all year long,” says Stohlman. And fleas can live inside a warm house year-round no matter where you live. Ticks are found in some places year-round. The Centers for Disease Control and Prevention (CDC) reports that in most parts of the U.S., the greatest chance of infection by a tick bite is spring and summer. Follow the directions exactly. If the product is for dogs, don't use it on cats or other pets. If the label says use weekly, don't use it daily. If the product is for the house or yard, don't put it directly on your pet. Keep multiple pets separated after applying a product until it dries to prevent one animal from grooming another and ingesting a drug or pesticide. Talk to your veterinarian before using a product on weak, old, medicated, sick, pregnant, or nursing pets, or on pets that have previously shown signs of sensitivity to flea or tick products. Monitor your pet for side effects after applying the product, particularly when using the product on your pet for the first time. If your pet experiences a bad reaction from a spot-on product, immediately bathe the pet with mild soap, rinse with large amounts of water, and call your veterinarian. Call your veterinarian if your pet shows symptoms of illness after using a product. Symptoms of poisoning include poor appetite, depression, vomiting, diarrhea, or excessive salivation. Do not apply a product to kittens or puppies unless the label specifically allows this treatment. Use flea combs to pick up fleas, flea eggs, and ticks on puppies and kittens that are too young for flea and tick products. Store products away from food and out of children's reach. Keep the product package after use in case side effects occur. You will want to have the instructions available, as well as contact information for the manufacturer. To report problems with FDA approved flea or tick drug products, contact the drug manufacturer directly (see contact information on product labeling) or report to FDA's Center for Veterinary Medicine on a Form FDA 1932a. Companies that make topical flea and tick products must immediately improve the labeling on their packages to ensure pet safety and prevent misuse of the treatments, according to changes announced Wednesday by the Environmental Protection Agency (EPA). The agency, however, said it is not banning or pulling any topical or spot on flea and tick products off the market at least not yet. The action comes in response to the EPAs nearly year-long intensive evaluation of spot on flea and tick products. The EPA launched its probe last April amid reports of a significant increase in adverse reactions linked to the treatments, including burns, neurological problems, and even deaths. The agency confirmed that in 2008 it received more than 44,000 reports of adverse reactions associated with these products, which are applied by squeezing the contents of a vial or tube to the skin between the animals shoulder blades or along the back. That figure represents an increase of about 53% from 2007, the EPA said. During its 11-month evaluation, the EPA said it discovered the warning labels on many topical flea and tick products are inadequate and do not give pet owners clear information about dosages or even if the treatments should be used on dogs or cats. We concluded that the existing warning labels are not working and do not provide adequate protection, said Steve Owens, assistant administrator for the EPAs Office of Prevention, Pesticides and Toxic Substances. We found a number of current labels have insufficient warning labels on themthe warnings were buried in the text of the label and not noticeable. They were easily overlooked. • Require clearer markings on packages to ensure consumers can tell the difference between products for dogs and cats. We found that (flea and tick) products for dogs and cats are labeled similarly, Owens said. People have applied the wrong spot on products to the wrong animal. We have to make sure the label warnings make it clear that a dog product should not be used on a cat. • Require labels to clearly state that pet owners should not permit interaction between dogs and cats after the products are applied. Cats are sensitive to these products, Owens said. It is critical for pet owners to keep their cats and dogs apart after these products are used. Owens said he also wants the new labels to include symptoms of possible adverse reactions to these topical flea and tick products. Asked when pet owners will see new labels on these products, Owens said, "by the end of the years." Requiring these label changes, however, isnt the only action the EPA said its taking to ensure the safety of dogs and cats the use topical flea and tick products. • Launch a consumer information campaign to raise public awareness about the new labels. We want to help consumers not make error in cases in which the labels are unclear or hard to read, Owens said. • Update the scientific data requirements on pre- and post-market testing to make sure they are more in line with the Food and Drug Administrations (FDA) requirements. The EPA emphasized these are only the first steps the agency is taking to address growing concerns about topical flea and tick products. Were going to continue to monitor this situation closely, Owens said. We want to make it clear that were going to continue to gather data and if the label requirements are not working, we will take more significant action. We will remove products from the market if we have to, he added. Were not banning any products or removing any today, but that is certainly something that we will be more than willing to do as we move forward and gather more data. Earlier today, the EPA met with companies that make topical flea and tick products to discuss these required changes. They realize this is serious problem they need to address, Owens said. And they understand we are serious about this. Their reaction was very positive. No one in the room said no way. 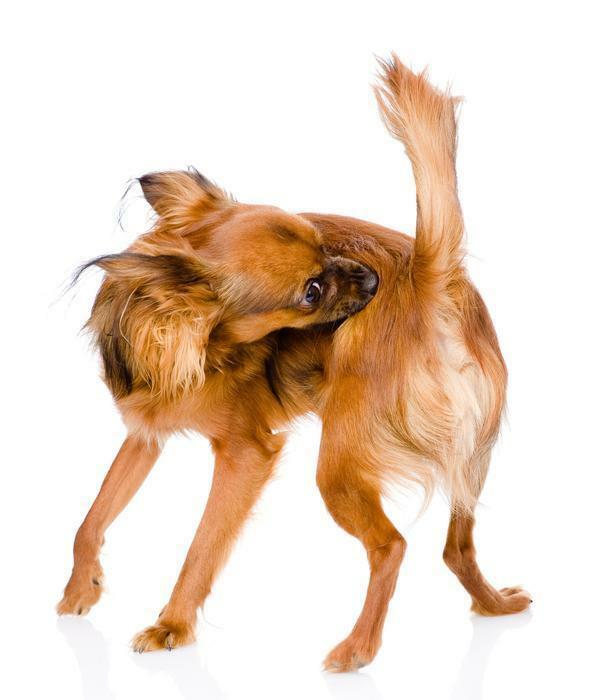 Companies that make flea and tick products, however, have routinely downplayed reports of adverse reactions and often blamed the problems on pet owners misuse of the treatments. The EPAs new labeling requirements refute that argument, Owens said. I dont know how you blame a victim when the label is not clear. There is not specific language on the labels about the dosage and consumers in many cases are left to guess for themselves on the appropriate amount. The reforms were announcing today address those problems, Owens added. While there are cases of misapplications, we think the far great problem is the labels are not adequate. But are these products safe? I think in most cases, yes, Owens said. But I want to underscore that these are poisons. These are products designed to kill fleas and ticks and they do their job. We urge pet owners and other to exercise caution and be careful when using them. And read the labels carefully. Given those risks, pet owners whove contacted ConsumerAffairs.com wonder why the EPA still allows these products on the market. Theyre pet owners who say theyve witnessed horrific reactions from these products in their dogs and cats, including burns and welts on their skin, drooling excessively, shaking uncontrollably, whimpering in agony, losing control of their legs, or even dying. Theyre pet owners like Sharee F. of Tennessee, who is convinced Sergeant's Gold Flea and Tick treatment attributed to the recent death of her dog. We applied it as directed and later that Friday night, my dog started foaming at the mouth and whining as though he was in pain, she said. Around 4 a.m. on what was now Saturday morning, my dog began seizing. His legs were flopping, his head twitching uncontrollably, he was whining and crying, and he was breathing unbelievably heavy. Everyone in the house was asleep, but (we) were awakened by the banging of my dogs body jerking against the wall, she added. Sharees family gave the dog some cool water and tried to comfort him until the vets office opened a few hours later. It was not until 8 a.m. that my dog was driven to the nearest Pet Meds, she said. Unfortunately, by the time my mother and brother walked into the vet, my dog went into cardiac arrest and they couldn't revive him. I am completely heart broken. I can't go a day without tearing up, and every time I replay this traumatic moment over in my head I get nauseous. I want these products pulled off the market. Another pet owner in Texas told us his dog experienced a horrible reaction to Sergeants Gold Flea and Tick Squeeze On treatment. Within an hour she was going crazy, whining, barking, jumping up and laying down, rolling over and running and laying down and back up and running, said R.A. of Whitney, Texas. The dog also started breathing heavily, drooling at the mouth, and throwing up, R.A. said, adding he used the product according to the labels directions. R.A. bathed the dog four times to try and relieve these problems. She is still going off her rocker, he said. This stuff is dangerous. The dangers may not be restricted to dogs and cats. I even got a little on my finger while putting it on her and I washed my hands, he said. Within a few minutes, my lips started tingling and I started having a hard time breathing myself. This stuff is a danger to (humans) health, not to mention your pet. ConsumerAffairs.com also heard from a Florida pet owner, who said her 14-year-old dog suffered serious neurological problems from Sergeants Gold Flea & Tick treatment. Twelve hours later she was drooling, shaking, and could hardly walk, Debra O. told us earlier this month. There were no dangerous side effects listed on the box. I called the emergency number on the box and was told (my dog) was having an adverse reaction to the meds. I had to give her three baths with dish soap, pour water down her throat, and also give her vitamin E oil, Debra added. I am still watching her behavior closelyshe is still suffering right now. Debra is outraged that a product linked to so many horrible reactions in pets is still on the market. I had no idea or I would have never bought (it) and risked the life of my 14-year-old buddy, she said. This product hurts and kills animals. Someone needs to do something. The EPA said its aware of concerns like Debras and will continue to evaluate the safety of these products. The agency, however, pointed out that most of the reports it received about adverse reactions were minor and included skin issues and gastrointestinal problems. The EPA also confirmed it received some reports of deaths linked to these product, but said they were rare less than 2 percent of the adverse reactions reported during 2007 and 2008. The agency said pet owners should continue to carefully follow the labels directions when using topical flea and tick products and watch for any adverse reactions in their dogs on cats after applying these treatments. Pet owners should also talk to their veterinarians about the best methods to protect their dogs and cats from fleas and ticks, the EPA said. A copy of the EPAs findings on topical flea and ticks products is now available on the agencys Web site. A 72-year-old dog owner has won what may be a landmark decision against the countrys leading maker of pet care products and fueled the ongoing debate over the safety of topical flea and tick treatments. A Texas jury awarded Frank Bowers $4,440.75 in the small claims court action he filed against Hartz Mountain Corporation. In this David-versus-Goliath court battle -- believed to be the first small claims court action of its kind --- Bowers alleged that Hartz Ultra Guard Pro Flea and Tick Drops caused the death of his beloved Olde English Bulldog, Diesel. The six-member jury deliberated less than 30 minutes before reaching a unanimous decision in favor of Bowers, who was widely considered the underdog in the case. "When the bailiff walked in the courtroom and said we have a unanimous decision, I nearly passed out," said Bowers, who represented himself in the court action. The jury said we find Mr. Bowers integrity outweighed what was presented by (Hartz) attorney. He lost an animal of value and all costs hes out are awarded to him." I just literally went numb, Bowers added. I caught up with three jurors in the hallway after the hearing. All I said to them was: thank you, thank you, thank you. And they just said: we did our job. Hartz told ConsumerAffairs.com that it believed the case was "without merit," but did not appeal because of the time and cost involved. For Bowers, the jurys decision brings closure and a sense of justice to an emotional issue that started at 8:30pm on August 7, 2008. On that warm summer night in Texas, Bowers applied Hartz Ultra Guard Pro Flea and Tick Drops to the 14-month-old, 68-pound, Diesel. I nipped off the top of the tube and put it on his back, Bowers recalled. I precisely used it as directed nothing more, nothing less than directed. By early the next morning Diesel had become gravelly ill. I went to my garage to work and I smelled this odor from excretion, Bowers said. Diesel was laying on the floor. He was shaking and having spasms of some kind. And he was passing a horrible odor of diarrhea. Bowers called his daughter, who told him to immediately take the ailing dog to the vet. Diesels health continued its rapid decline during the ride to his vets office, Bowers said. He continued to have bowel movements on the way. When we got to the vets office, he couldnt walk. They got one of those stainless steel tables and took him back to an exam room. The veterinarian asked Bowers a battery of questions about Diesel, including one that caught him off guard. The vet asked me if Id put any flea treatment on him, Bowers said. And I said: yes, last night. I told him what it was and went back to the store to get a tube to show him. The vet, he said, took one look at the Hartz Ultra Guard Pro Flea and Tick Drops and shook his head. He said: Oh, my God. Hes going to have kidney failure. By 4 oclock the next morning, Diesels kidneys had shut down. He was in total renal failure, Bowers said. The vet wanted permission to euthanize him. I said you know whats best and I dont want any animal to suffer. I picked Diesel up around 7am and took him out in the country and buried him on my daughters 10 acres. This painful chapter in Bowers' life happened in less than 35 hours from the night he applied the flea and tick drops to the morning of Diesels death. Bowers wanted answers. He wanted to know why Diesels health deteriorated so quickly. The plain-spoken Texan went straight to the source. He called Hartz. But they did not care to discuss this with me, Bowers said of the companys customer service representatives. They insinuated that I did something wrong. At that point, I said my dog is dead and I need you pay. Its about $4,000. Hartz balked at his suggestion, Bowers said. They said we wont pay that, sir. Its a risk you take when you use our products. I asked for this persons supervisor, but she hung up on me. Bowers then sent the company a letter about Diesels death. I got no response, he said. This irritated me. They acted like I didnt exist. About two months later, someone (from Hartz) called me and told me it was my fault (that Diesel died) or neglect that caused the death and they were not responsible. Bowers contacted a few attorneys to see if theyd take his case. But none wished to be bothering Hartz as there was not enough money, he said. The determined pet owner, however, didnt give up or back down. He took matters into his own hands and represented himself in court, specifically Small Claims Court, Precinct 3, in Travis County, Texas. Consumers in the Lone Star State can seek damages of up to $10,000 in their small claims court proceedings. Texas also allows jury trials in small claims court actions. I filed papers in small claims court, said Bowers, who lives in Austin, Texas. But the court called me a while later and said I needed to re-file my case because Hartz did not respond. Bowers filed his case again on July 28, 2009. And this time, Hartz did respond to the court, he said. The court sent the company a registered and non-registered letter about my case. An attorney contacted the court and said she represented Hartz. The court wanted Bowers and Hartz to resolve the case through mediation. But that process wasnt too productive, Bowers said. I looked at the girl (Hartz attorney) square in the eyes and said: do you have a check for this amount -- $4,400? She said no. I said then this mediation is over. At this time, there is nothing to negotiate. Bowers and Hartz attorney then went back and talked to the judge. The judge said well have to reschedule for another appearance, Bowers said. But I told the judge that I wanted a trial by jury. She said thats your privilege. The attorney (for Hartz) didnt like it. She wanted to settle this between her and I. Here I am -- 72-year-olds old. I have a high school education. I dont have a law degree. But I still wanted a trial by jury. The judge asked me if I thought I could get a jury verdict in my favor and I said I wouldn't be here if I didnt. Bowers' day in court finally arrived on January 12, 2010. Before the trial, each side had a chance to question a pool of potential jurors. I chose not to ask them any questions, Bowers said. But Hartz attorney kicked a few potential jurors off because they had pets. She also asked the jurors if theyd had any problems in the past with pet medications. She didnt want any pet owners or people who had problems with pet medications on the jury. There were also no vets on the jury. In the end, a jury of three men and three women heard the case. The trial took less than two hours, Bowers said. I wasnt able to tell the jury everything I wanted to. The judge, for example, wouldnt allow Bowers to enter into evidence any of his Environmental Protection Agency (EPA) documents about the adverse reactions dogs and cats have experienced from topical flea and tick products. The vets he wanted to call as witnesses also couldnt make it to court that day. I had no witnesses, Bowers said. I was riding the brass rail by myself. And he was up against Hartz savvy attorney, who he learned had taken a special course on flea and tick products to prepare her for the case. Hartz had all kinds of statements about flea and tick products and they had everything notarized so it could be entered into evidence, Bowers said. I didnt know I needed to do that (get documents notarized). Hartz had statements from their vets, too. During the trial, Hartz also cross-examined Bowers about Diesels death. Hes glad they did. Thats when I got in the information that they wouldnt let me enter, Bowers said. I entered it by blurting it from the witness box. The attorney asked me a question like how did I know it was Hartz that killed my animal? And I said Hartz has killed many other animals. The attorney was screaming to get me to shut up and I just kept talking, Bowers added. The judge then told me to shut up. At that point, I looked at the judge and said Im sorry. And then I looked at the jury and smiled. Hartz attorney also suggested that Bowers didnt apply the flea and tick drops as directed. They screamed that over and over, Bowers said. But I precisely used it as directed. Hartz and other makers of fleas and tick products often cite the misuse of these treatments for adverse reactions. Pet owners, they say, may put a flea and tick product intended for a dog on a cat. Or they may apply too much flea and tick product on their pets. Last summer, the ASPCAs Animal Poison Control Center also studied its data on topical flea and tick products. That study revealed the likelihood of severe adverse reactions was significantly less when dogs and cats were treated according to directions. From the data we have collected, the adverse reactions tend to be mild, like skin sensations and stomach upset, the ASPCAs Dr. Steven Hansen said after the organization released its study. We dont have very many cases of true neurological issues when these products are properly used. Bowers, however, repeatedly told ConsumerAffairs.com that he used the Hartz flea and ticks drops as directed when he applied them to Diesel. He also told us the court didnt give him the chance to cross-examine any of Hartz witnesses during the trial. I wasnt asked to, he said. I asked the judge why I could ask any questions and she said thats procedure. The jury, however, wasnt swayed by the witnesses or documents Hartz used in its defense. After deliberating for less than 30 minutes, the jurors ruled in Bowers favor. I didnt know what to think when I heard that, he said, adding the $4,440 he won covers the cost of Diesel and the dogs vet bills. I was dumbfounded. Bowers is convinced the jury sided with him because of one issue that surfaced during the trial: whether the chemical Phenothrin, which is in Hartz Ultra Guard Flea and Tick Drops, is the same or similar to the chemical Permethrin. Bowers said he argued that, according to his carnal knowledge, those two are the same chemical compound. I kid you not, that is the thing that saved my case, he said. Hartz vehemently disputes that contention, saying those are completely different ingredients. The trade name for Phenothrin is Sumithrin, the companys spokeswoman, Anne Isenhower, told ConsumerAffairs.com. Permethrin is a completely different ingredient that Hartz does not use in any of our on-animal products in the United States. Hartz also downplayed Bowers allegations and the jurys decision. This case was without merit and the allegations werent supported by evidence (presented in the trial), said Isenhower, senior vice president, with GolinHarris, Hartz public relations firm. Hartz, however, did not appeal the jurys decision because of the time and cost involved to pursue such action, Isenhower said. Asked if Bowers case marked the first time a consumer has successfully sued Hartz over one of its topical flea and tick products, Isenhower said: Yes, we believe so. We are not aware of any verdict against Hartz flea & tick drops. She had an identical comment when asked if Bowers case was the first small claims court victory against Hartz. Yes, we believe so. We are not aware of any verdict against Hartz flea & tick drops. In spite of the jurys decision, Isenhower defended the safety of Hartz flea and tick products. Weve conducted extensive analysis of the adverse event reporting on our products as well as all topic treatments in the market, she said. Although Hartz is the leader in flea and tick retail sales, we are less than three percent of all adverse effects reported to the EPA in 2008 for topical dog flea and tick treatments. The safety of topical or spot-on flea and tick products has come under intensified scrutiny by the EPA for the past 11 months. The agency started that probe last April, saying it had received more than 44,000 reports of adverse reactions associated with spot-on flea and tick products. Adverse reactions reported range from mild effects such as skin irritation to more serious effects such as seizures and, in some cases, the death of the pet, the EPA said. The agency told ConsumerAffairs.com that it planned to release its findings last fall. The EPA, however, has since delayed that release date. Due to the large amount of data and the complex technical issues associated with the review of the data, our report is not ready for public release, the agencys spokesman, Dale Kemery, told us in December 2009. "We anticipate publicly releasing the document in early 2010. The EPA will post its findings about topical flea and tick products, and any regulatory action it may take, on its Web site. In the meantime, animal experts recommend pet owners consult their veterinarians about which flea and tick product to use on their dogs or cats. Back in Texas, Bowers warns pet owners to be earthly aware of any topical flea and tick products they put on their animals. I think Ill utilize just plain soap and water, he said. I use Head and Shoulders shampoo on my dogs now. I bathe them every time I see them scratching. We used to get Myrtle Bush when I was a child growing up in Louisiana, he added. It was a natural killer of fleas. Bowers is also keenly aware that his legal victory could have ripple effects in courtrooms across the country. He suspects his case may serve as a rallying call for other pet owners whove seen their dogs or cats suffer burns, blisters, seizures, neurological problems, or even die after using topical flea and tick products. His case, he said, may open the floodgates for similar lawsuits nationwide. I think this case will make pet owners wonder why they have not gone forward with their cases in small claims court, Bowers said. And if they do, my advice to them if get a trial by jury; I would never accept a non-jury trial. The amount of money consumers can recover in small claims court varies by state. And some states do not allow trials by jury in small claims court. ConsumerAffairs.com has a comprehensive small claims court guide. March 9, 2010 A 72-year-old dog owner has won what may be a landmark decision against the countrys leading maker of pet care products and fueled the ongoing debate over the safety of topical flea and tick treatments. The nightmare started with a product a North Carolina pet owner thought would protect her beloved dogs from fleas and ticks. The horror unfolded within minutes after Diane S. applied Sergeant's Gold Flea and Tick Squeeze-On For Dogs on her Shih Tzu-Maltese named Tipsy and her Shih Poo named Pebbles. The tiny dogs began to whine and jerk uncontrollably. The skin where Diane applied the flea and tick product turned scarlet. Then it started to blister. Their poor backs were red and it seemed to be eating at their hair, she said, adding she carefully followed the directions on the package. Both dogs had severe burns on their skin. Diane immediately dialed the number listed on the package and learned some shocking news from the person who answered her call: Im panicking and he told me this has happened before. He then said this is what to do. He told me to wash the dogs in Dawn dish detergent several times, put ice packs on their backs -- I used frozen bags of peas -- and take them to the vet if they started to foam at the mouths. We didnt foam, but we jerked and whined all night. At 7 a.m. the following morning, Dianes dogs sat in their veterinarians examination room. She looked at the ingredients on the box and said it was pure poison and its a wonder it didnt kill them. She also told me they may not make it. Thanks to some medication and lots of prayers and tears, Dianes dogs survived the ordeal. But the scars on their backs havent healed and Tipsy has a black mark on her back and is still a little shaky on her paws. The more than $200 vet bill also drained Dianes bank account. She couldnt pay her entire rent for July and feared she and her young daughter would be evicted from their home. I was told I had to be out by the end of the month, Diane told us in late July. That was scary. Im a single mom with no other support. But I just couldnt plan for things like this. And my pets are very important to me and I wasnt going to let them suffer. Dianes landlord has since agreed to work with her on the late payment. Thats good, but Im still dealing with the stress caused by seeing my pets in so much pain and the guilt of knowing that I did that to them. Dianes pets arent the only ones whove experienced what many consumers call horrific reactions from the various spot on -- or topical -- flea and tick products on the market. ConsumerAffairs.com has heard scores of similar stories from pet owners across the country who say their dogs and cats started to shake and tremble uncontrollably, drool excessively, vomit, have seizures, suffer burns and welts on their skin, whimper in agony, lose control of their legs and experience other neurological problems after using those products. A few pet owners even suspect the products played a role in their pets deaths. An analysis of records in our database reveals the majority of complaints weve received about topical flea and tick products are ones made by Sergeants Pet Care Products, Inc. That Nebraska-based company makes flea and tick products under its name and the Sentry name. Our analysis also uncovered another trend among pet owners: theyre clamoring for the immediate removal of these topical flea and tick products -- regardless of the brand -- saying theyre toxic and poisonous. They echo the sentiments of New York pet owner Diane D., who told us her three dogs suffered burns on their backs and shoulder blades and screamed in agony after using Sentrys Natural Defense Flea & Tick Squeeze-On product. It is extremely unfair to manufacture and distribute a product that can cause horrific conditions, she says. Bottom line: this product is dangerous and should be taken off the market. So why hasnt The Environmental Protection Agency (EPA) -- which regulates flea and tick products -- pulled these potentially dangerous pesticide-based treatments off store shelves? After all, the agency has spent the past few months intensifying its scrutiny of topical flea and tick products because of the increased number of reported adverse reactions. Pet owners worried about the adverse reactions thousands of animals nationwide have experienced to topical flea and tick products will have to wait a little longer for any action from the Environmental Protection Agency (EPA). The agency previously told ConsumerAffairs.com that it planned to issue a report last fall about "spot-on" flea and tick products, which pet owners say have triggered "horrific" reactions in their dogs and cats. But according to the EPA, the agency is still reviewing reports and other "complex technical issues" regarding the problem, and will likely not take any action for weeks. "[The] EPA has been evaluating the data submitted on adverse incidents associated with the spot-on flea and tick pet products and is nearing completion of its review," the agency's spokesman, Dale Kemery, said. "Due to the large amount of data and the complex technical issues associated with the review of the data, our report is not ready for public release." "We anticipate publicly releasing the document in early 2010," Kemery said. The EPA will post its findings about topical flea and tick products, and any regulatory action it may take, on its Web site. The report would come nearly a year after the EPA announced it was "intensifying" its scrutiny of topical flea and tick products. Hundreds of pet owners have written to ConsumerAffairs.com since then, claiming that their dogs and cats suffered burns and welts on the skin, started to drool excessively, shake uncontrollable, whimper in agony, lose control of their legs, or experience other neurological problems after using these products. The agency decided last April to take a closer look at these EPA-registered-products because of the growing number of reports it had received about adverse reactions. During an interview with ConsumerAffairs.com last summer, the agency confirmed it had received more than 44,000 reports of harmful reactions associated with the products, including skin irritation, seizures, and even deaths. The EPA also documented the uptick in complaints it received about these products from previous years. "How can this product still be on shelves?" The increase in incidents only fuels pet owners' anger over the products remaining on the market. "I applied Sergeant's Silver Flea & Tick squeeze-on to both of my dogs and within a few minutes they both started scratching, drooling, running around, panting, twitching, vomiting, rolling around," a New Jersey pet owner named Noemi told us. "Their doctor prescribed them medication and it took weeks for it heal. My dog still has a scar on his back that may never go away. He has white fur and all I see is this dark mark on his back to remind me daily of what happened." "People have been complaining on this site (ConsumerAffairs.com) about this product since 2007," she added. "When is this product going to be removed from the shelves?" The EPA has told us all options "are on the table," including requiring companies to change their formulas or pulling products off the market. But a leading veterinary toxicologist and other experts in the field caution the EPA about pulling these products off store shelves. They say an outbreak of fleas and ticks could pose more serious health problems to pets and humans, and that the products pose minimal risks when used as directed. A 2009 study by the American Society for the Prevention of Cruelty to Animals (ASPCA) found that the majority of illnesses linked to "proper use" of topical flea and tick products were mild. Cats were more susceptible to illnesses and deaths from the "misuse" of these products, according to the study. "The important take home message is that although adverse reactions can occur with all flea and tick products, most effects are relatively mild and include skin irritation and stomach upset," said Dr. Steven Hansen, ASPCA veterinary toxicologist and Senior Vice President, Animal Health Services. "Pet parents should not discontinue using products as directed by the product label when faced with a flea infestation." Hansen's words offer little solace to pet owners who say they've seen firsthand the agonizing pain and problems caused by the products. They include Melissa of Hamilton, New Jersey, who worried her two Pugs were going to die after she applied Sergeant's Gold Flea and Tick Squeeze-On on them. "A few hours after applying the medication to our dogs, both of them began to act completely out of character," she said. "They were both vomiting, foaming at the mouth, running around and smashing their bodies into fences, furniture, bushes, shaking their heads violently almost as if something was inside their ears." "We called a 24 hour vet hotline and we were told the dogs were having an allergic reaction," she said, adding chunks of one of the dogs hair later came out. "It took days to get this poison out of their systems." "Our dogs could have died," she said. "We have a dog missing a huge part of his hair. It is extremely disturbing to look at. I would like this product taken off the shelves. It is poison, and complaints are all over the Internet about it. How can this product still be on shelves?" Pamela of Marshall, Michigan had a similarly bad experience. "I applied Sergeant's Gold Squeeze-On flea and tick treatment to my dog," she said. "After the tube was applied, he started going crazy and pacing back and forth. I thought the fleas were driving him crazy until he went into a seizure and had non-stop foaming at the mouth, was panting, had huge pupils, was shaking, convulsing, eyes twitching, bloating, and temporarily lost (his) walking ability." Pamela immediately called the company's emergency hotline. "I was talking to the lady when my dog went into yet another seizure," Pamela recalls. She said, "Get off the phone and call your vet now.'" Pamela's vet told her to immediately wash her dog, Tyson, with Dawn soap. Tyson's condition had not improved by the time Pamela reached the vet's office. "He was still shaking and had all the symptoms as before," she said. "His shaking was so bad it took five of us to hold him just to get the needle (with IV and other medications) in his leg." Tyson is now on the mend, she said, but not fully back to normal. "I have read many other stories on the Internet about this product doing the same thing to other animals, even to the point of them dying," she said. "This needs to be pulled from the shelves before more people have to go through what I and other people already have." During an interview with ConsumerAffairs.com last summer, the EPA's Kimberly Nesci said her agency was thoroughly examining this issue, and that its probe encompassed reviewing thousands of reports about adverse reactions. At the time, Nesci said "anything is on the table" with regards to what the agency might do to take action against the products. ConsumerAffairs.com also contacted several makers of topical flea and tick products for reactions to the EPA's proposed "intensified scrutiny." Hartz CEO Bill Ecker was the only one to respond at the time, saying that he welcomed their efforts. Ecker also cited a study by Washington State University professor Dr. Charles T. Gaskin which analyzed the EPA's complaints about flea and tick products from 2006 to 2008. Ecker claimed that Gaskin's study revealed Hartz flea and tick products accounted for less then five percent of the adverse reactions reported during the timeframe analyzed. But the scores of pet owners who continue to write in say they use these flea and tick products as directed -- and their dogs and cats still suffer horrible reactions. "I put Sergeants Gold flea and tick on my Dachshund," pet owner Kimberly, of Portland, Oregon recently told us. "I used the one for small dogs (9-20 lbs) and just a few hours later my dog started itching and was extremely uncomfortable. He continued to be uncomfortable and couldn't hold still (and) he wouldn't eat or drink. He kept jerking and shaking his head and trying to rub himself on everything." Her dog's problems persisted throughout the night, even after she gave him a bath. "And now, almost nine hours later, he is still twitching when he is still and he is still so uncomfortable," she said. This product is horrible and dangerous," Kimberly added. January 7, 2010 Pet owners worried about the adverse reactions thousands of animals nationwide have experienced to topical flea and tick products will have to wait a little longer for any action from the Environmental Protection Agency (EPA). The pesky flea and tick season is here and pet owners nationwide continue to express concerns about the topical treatments on the market. ConsumerAffairs.com regularly hears from pet owners who say their dogs and cats have experienced neurological problems, burns, vomiting, and other adverse reactions to the spot-on products. Although the Environmental Protection Agency (EPA) recently unveiled several measures designed to increase the products safety -- including clearer labeling requirements -- many pet owners remain wary of the treatments. And consumers across the country wonder what they can do to safely protect their dogs and cats from annoying fleas and ticks. A leading veterinarian and a doctor of pharmacy and clinical toxicology told ConsumerAffairs.com they understand pet owners trepidations, but they say serious reactions to these flea and tick treatments are rare. They also said the best ways to prevent most adverse reactions is to follow the directions carefully and apply the products based on the animals exact weight. One of the overwhelming issues we see with dogs is that pet owners dont have their (animals) accurate weight, said Dr. Lynn Hovda, director of veterinary services and toxicologist for the Pet Poison Helpline and SafetyCall International. They may think their Chihuahua weighs 15 pounds, but when they go to the vet they learn it weighs 4 to 5 pounds. So now weve got a weight issue. Throughout our interview, Dr. Hovda repeatedly emphasized the importance of knowing a pets exact weight when using these products that are applied by squeezing the contents of a vial or tube to the skin between an animals shoulder blades or along its back. You have to know your pets accurate weight so you know the accurate dose to use, she said. This is especially true with smaller dogs. Knowing the exact size and weight of your pet and not assuming a product can be used for all types of animals is essential for using the correct medication and appropriate dose on your pet, she said. The stronger labeling requirements recently mandated by the EPAshould also avert many problems linked to topical flea and tick treatments, Dr. Hovda and her colleague, Dr. Rick Kingston, president of regulatory and scientific affairs for Pet Poison Helpline and SafetyCall International, told us. The EPA in March announced that manufacturers of these products must immediately make their packages easier for pet owners to read and understand. The EPA, for example, wants more precise instructions on the products labels to ensure pet owners apply the correct doses based on the animals weight. The agency also wants clearer markings on the labels so pet owners can tell the difference between products for dogs and cats. Drs. Hovda and Kingston laud these requirements. Time and time again we see pet owners who are very well-intentioned but are not paying attention to what is on the label or are confused by what is on the label, Dr. Kingston told us. That leads to product misapplication or pet owners not using the products as effectively as they could. Anything that can be done to help increase the clarity of use of these products is important. Dr. Hovda agrees. Im all in favor of anything that can be done to make (the labeling) clearer, easier to understand, and user-friendly, she said. The key to ensuring pets safety when using flea and tick products is to be vigilant about following the instructions on the package. Restrict the use of certain inert ingredients that may contribute to adverse reactions. Continue to monitor reports of bad reactions associated with the products. The EPAs action plan came in response to its nearly year-long intensive evaluation of topical flea and tick products. The agency launched that probe after noticing an uptick in reports about adverse reactions -- including burns, neurological problems, and even deaths -- linked to these over-the-counter and prescription treatments. During an interview with ConsumerAffairs.com last summer, the agency confirmed it had received more than 44,000 reports of harmful reactions associated with the products. Dr. Kingston and his colleagues at the Minnesota-based Pet Poison Helpline analyzed much of the data provided to the EPA about these products and the reactions associated with them. They concur with the EPA that the number of severe or fatal reactions to the products -- when used correctly -- are extremely low compared to the number of applications that pet owners use each year. The likelihood of an animal having a more severe reaction is 1 in every 200,000 applications, Dr. Kingston told us. Owners may think that serious adverse effects are common and expected, but fortunately, the data does not show that animals are being seriously injured when flea and tick products are being applied properly. The majority of reported incidents represent minor or non life-threatening events, he said. When serious reactions do occur, they are commonly caused by misuse of the products, Dr. Kingston and his colleagues said. Pet owners, for example, may apply a dog product on a cat or miscalculate the dose for their animal. In looking at the EPAs findings, one of the things they recognized was that smaller breeds are disproportionately more affected (by adverse reactions), Dr. Kingston said. That may be because the pet owners dont know the animals weight. Some normal reactions to topical flea and tick treatments may also be misunderstood by pet owners, the doctors said. Often times a product is doing what its supposed to do, which is rapidly kill fleas, Dr. Hovda said. But when you have fleas on a pet and then theyre covered with a product, the fleas start leaping on and off an animal. This is called the dead flea dance. Its irritating to pets and they start biting. Sometimes, thats what occurring. Some pets may also foam at the mouth if they lick the products. The active ingredients can cause animals to have an intense stinging sensation on their tongue and they will start to foam at the mouth, Dr. Kingston said. But this problem is usually mild and limiting. A small proportion of pets can also experience a side effect called paresthesia, which is a tingling sensation at the application site. This reaction, which accounts for a large number of the reported incidents, generally affects smaller breed dogs, doesnt last too long, and is usually mild, the doctors said. But pet owners whove contacted ConsumerAffairs.com say the reactions their dogs and cats experienced to these products are anything but mild. "Horrific," "frightening" and "scary" are terms they often use. And those whove seen their dogs and cats endure pain and suffering -- or even die -- after using the products are convinced the poisons should be pulled off the market. Theyre pet owners like James R. of St. Peters, Florida, who blames a Hartz product for the recent death of his cat. I purchased Hartz UltraGuard OneSpot Treatment for Cats and Kittens and upon applying this product to my 6-year-old male bobtail cat, Smokey, within 48 hours, my cat was dead, he told us. This cat was in perfect health prior to applying the product to him. All I was looking to do was kill off the fleas on my cat, not kill off my cat. A Missouri pet owner told us her two healthy dogs experienced frightening reactions to Sergeants Gold Flea and Tick Squeeze-On treatment. I followed the instructions perfectly, and within a half hour, they started shaking, wobbling, crying, spinning uncontrollably, twitching, running into furniture, trees, and the like - all in an effort to stop whatever sensation they were feeling, said Lori W. of Raytown, Missouri. Lori said she bathed her dogs seven times in cold water and dish detergent to alleviate their agony. But theyre still suffering 36 hours after I applied this product, she said, adding she used the treatment labeled for the weight of her large dogs. The only thing that soothes them for a moment is the icy water of the hose. Loris veterinarian also prescribed a medication for the dogs. Now that I've been a victim of this, I've learned how many tens of thousands of people have inadvertently harmed or even killed their pets, she said. According to what I read, they (the EPA) feel that 44,000 adverse reactions, including deaths in 2009, is an acceptable number because so many people have used the product. It isn't. These products should be taken off the market shelves immediately. The EPA confirmed that some pets have died or experienced severe reactions to topical flea and tick treatments. Dr. Kingston acknowledged that finding and said the animal health industry is trying to find out why those cases happened. We do have circumstances of pets having severe reactions, Dr. Kingston said. And were trying to get a better handle on some of those unexpected reactions and figure out why this animal had this type of reaction. (But) there are circumstances in which we dont have any good answers, he added. Its like drugs in humans when someone reacts violently to a regular dose of medication. Despite these concerns, Drs. Kingston and Hovda said topical flea and tick products should not be yanked off the market. They say the treatments -- when used correctly -- protect animals and humans from bloodsucking insects and prevent the spread of Lyme disease and other infectious illnesses. There are benefits to these products, Dr. Kingston said. And we do not want to see animals not have access to them. These products also serve a public health benefit in addition to helping animals. What about natural flea and tick products? I think you have to be careful with natural products, Dr. Hovda said. Some of the essential oils dont get along with cats. Cats, for example, cant metabolize lavender. Some other natural products use garlic and onions, but those are harmful to cats because of their red blood cells and circulatory systems. And some natural products are not effective on dogs or cats. Pet owners should report any adverse reactions to the manufacturer, the EPA said. Pesticide manufacturers are required by law to notify federal regulators about any incidents regarding topical flea and tick products. Pet owners should also notify the EPA about any adverse reactions. Veterinarians are encouraged to report adverse reactions to the products to the National Pesticide Information Center, the EPA said. A lawsuit filed this week alleges that Biospot brand flea and tick spray is responsible for neurological problems in hundreds of animals, resulting in death in some cases. The suit, filed in federal court in San Francisco, blames the problem on pyrethrins, organic compounds that kill fleas and ticks but that also have a long history of poisoning cats. Pyrethrins kill fleas and ticks by interfering with their nervous systems, thus paralyzing and killing the parasites, the suit says. However, [pyrethrins] have the same effect on very significant numbers of pets, causing neurological problems which have and often will result in injury and/or death to the animal. While the Environmental Protection Agency (EPA) is charged with oversight of products like Biospot, the suit says that the agency rarely conducts independent tests and instead depends largely on information provided by manufacturers when determining whether such products are safe. Biospot, which can be purchased over-the-counter, is significantly cheaper than its prescription counterparts, such as Frontline. Five named plaintiffs represent a putative class composed of anyone who bought flea products containing pyrethrins, manufactured by the defendants, provided that their claims fall within the applicable statute of limitations. Sunny Johannson, a plaintiff from California, usually treated her cat Jack O'Punkin with Frontline and Revolution, neither of which ever caused any adverse effects. Earlier this month, Johannson used Biospot for the first and only time. The following morning, Jack bit [Johannson's] hand and collapsed into a seizure that lasted approximately a minute and a half. Johannson immediately shampooed Jack in an attempt to remove as much Biospot as she could. Her vet's assistant confirmed the likely cause [of the seizure] to be Biospot, having seen similar reactions in other animals. While Jack survived the incident, he continues to be lethargic and uninterested in food, according to the suit. Plaintiff William Shelby, a Texas resident, wasn't so lucky. On July 1, 2010, he applied Biospot to Waggles, his seven-year-old pit bull. Within days, Waggles's hair began to fall out and she developed bumps on her back and sides. Shortly thereafter, her immune system shut down; her eyesight deteriorated; and she began suffering seizures. By late July, Waggles had become totally blind, and was not eating because she could not swallow. [She] was running into walls, was disoriented and in great pain. Shelby had Waggles euthanized on July 29, less than a month after he had used Biospot. The suit alleges that Biospot manufacturers Central Garden & Pet and Farnam Companies know, and have known for many years, that these chemicals will substantially injure and/or kill very significant numbers of dogs and cats. As evidence, the suit notes that the manufacturers have reported to the EPA a sharp increase in adverse consequences from application of these products to companion animals. According to the complaint, [i]n 2008 alone, there were approximately 44,000 reports of adverse events resulting from squeeze-on products containing pyrethrins, a group that includes Biospot. Consumers should always be careful when using spot-on treatments, a point hammered home by an EPA advisory issued in May 2009. According to the advisory, the majority of consumer complaints detailing adverse reactions from flea and tick treatments dealt with spot-on products. Last August, ConsumerAffairs.com's Lisa Wade McCormick detailed the nightmare that befell Diane S., a pet owner from North Carolina, when she used Seargeant's, another spot-on treatment. Her dogs immediately began to whine and jerk, and soon developed burns on their skin. Diane's vet, who examined the dogs the next day, said [the treatment] was pure poison and it's a wonder it didn't kill them. The EPA advisory warns pet owners to carefully follow instructions when using flea and tick products, and advises them to consult a veterinarian before using the products on weak, aged, medicated, sick, pregnant or nursing pets, or on pets that have previously shown signs of sensitivity to pesticide products.